The blatant display of double standards within the National Democratic Party (NDP) amplified the internal party conflicts and ultimately led to the separation of the governing party. This is according to former member of the NDP, Hon. Melvin ‘Mitch’ Turnbull, who has now aligned himself with Hon. Ronnie Skelton’s Progressive Virgin Islands Movement (PVIM). Among the issues that caused a conflict was the fact that Minister of Education and Culture, Hon. Myron Walwyn—who is also the NDP’s Chairman—released an Audit Report to the media and public and did not face any penalties for his actions. Over a month ago, Hon. Walwyn had released the Auditor General’s Special Report into the Elmore Stoutt High School (ESHS) Perimeter Wall Project, in an attempt to justify his actions and defend himself and his Ministry against the findings of the audit. This gained the attention of Governor Augustus Jaspert, who wrote to Premier, the Honourable Dr. D. Orlando Smith, who ordered Hon. Walwyn to apologise for his actions. The Education Minister subsequently released what many termed a brief ‘half-baked’ apology. 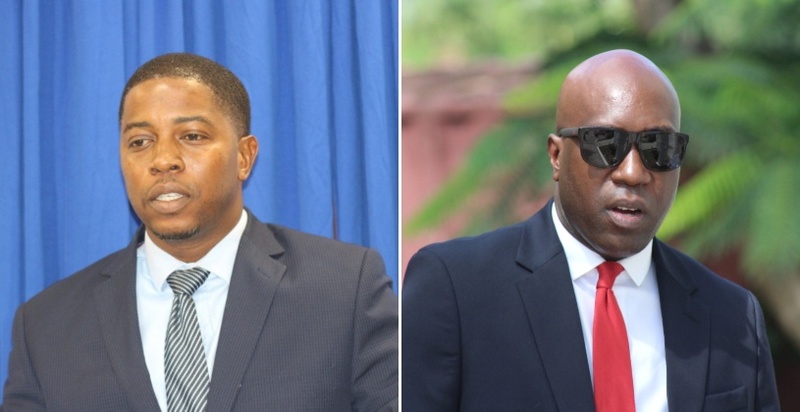 During a PVIM press conference today, December 5, Turnbull said that members of Government were chastised and faced penalties for raising concerns about the Government’s actions, while Minister Walwyn openly breached protocol and was not punished. “On one hand, we are chastised for making a statement in the best interest of the country, and on the other hand…other persons, they don’t even get even a slap on the wrist, it’s business as usual…Other members do and say as they please,” Turnbull stated. He maintained that “There is a double standard in the way of operation...anything goes on one side. Meanwhile, he said he faced the fire after raising concerns about the management of the territory’s finances by the Government. “Just as people lose their way, the NDP has lost its way and completely, now, has lost its way,” he declared. Hmmmm. Son you havery a long way to go. Brace yourself.